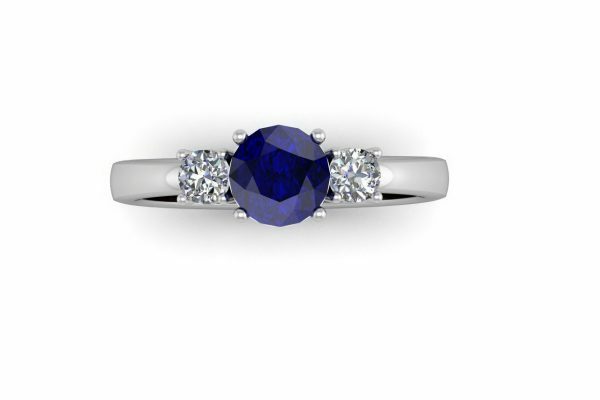 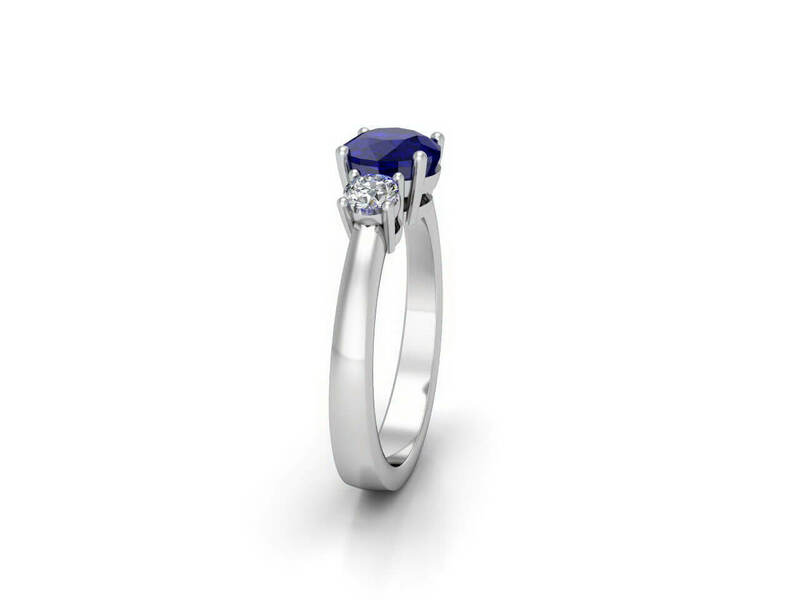 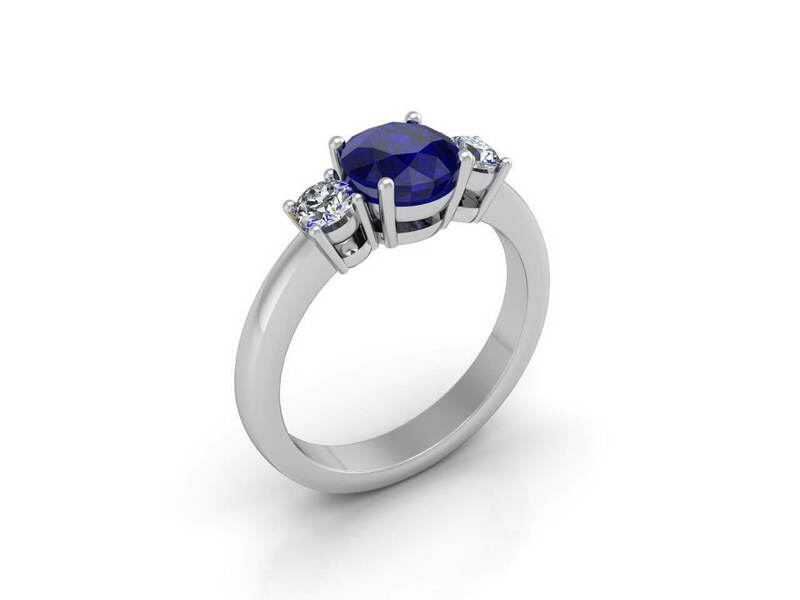 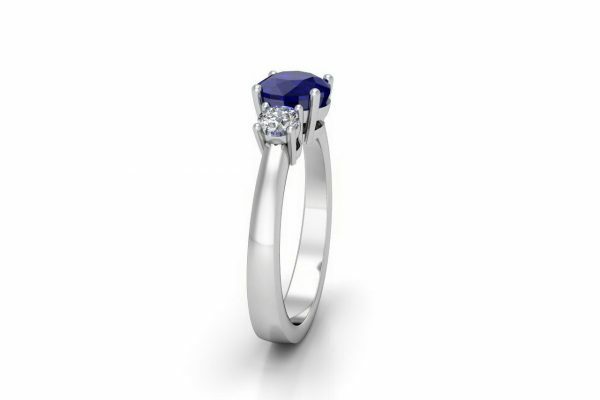 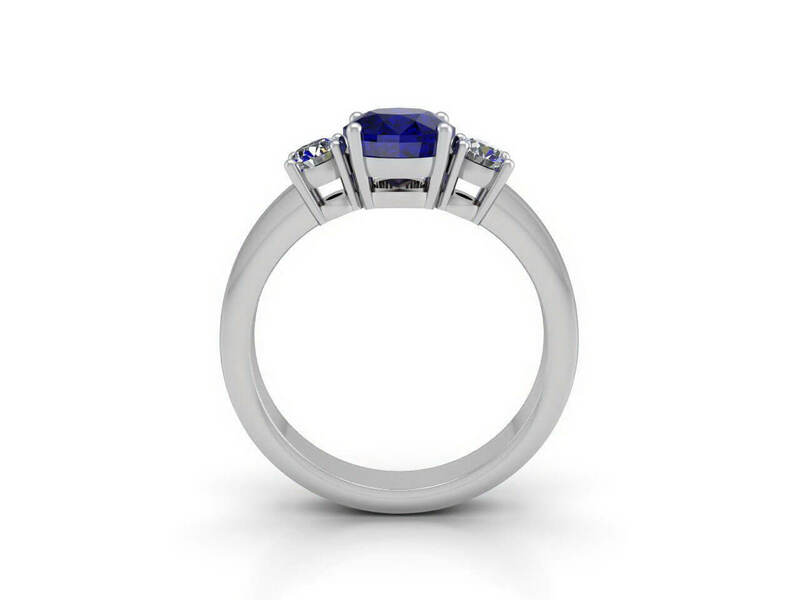 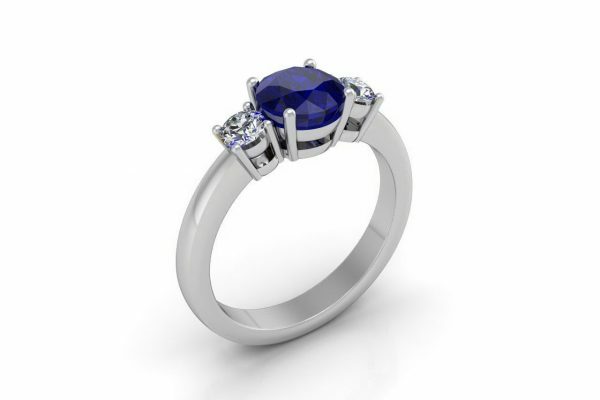 This Platinum 3-stone ring featuring a round Ceylon sapphire accented by a round brilliant cut diamond on each side makes a perfect choice for an Engagement Ring. 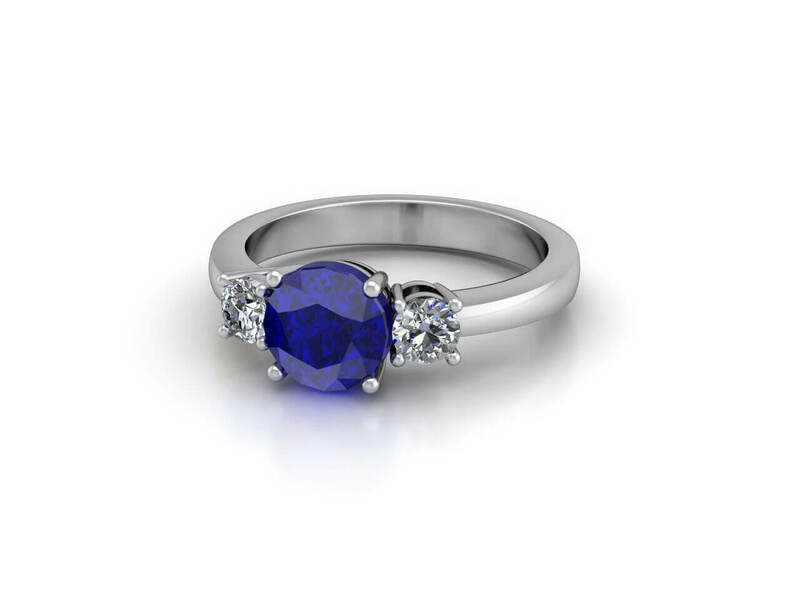 The centre can also be set with a GIA certified diamond or a coloured gem of your choice like Emerald, Aquamarine or Ruby. 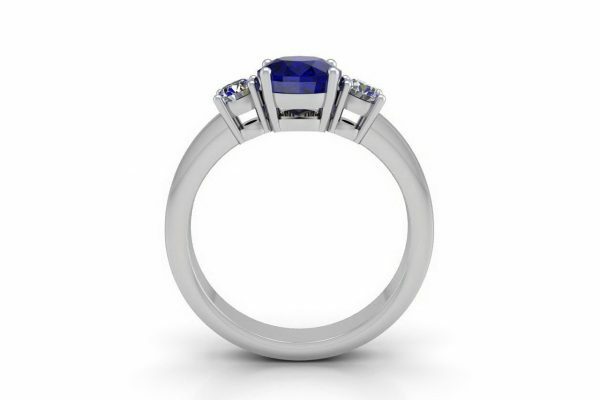 This ring can also be custom made in 18k white, yellow or rose gold.